Today´s blogpost is in english, just for fun and to see what it feels like. February is already here and some of you may think I´m a bit late with this post. 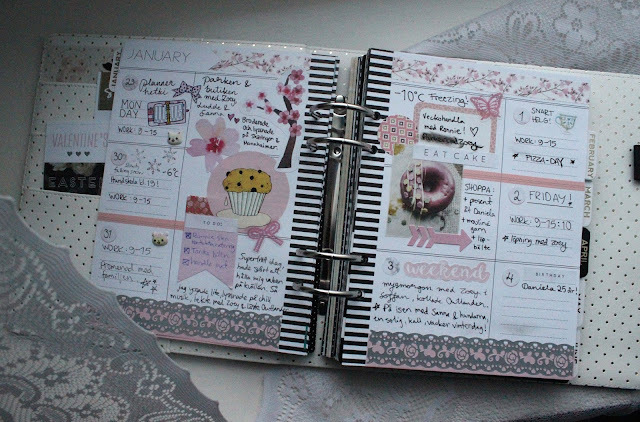 Well, I wanted to try out my planners and really show you how I use them, instead of only showing blank pages (because I think that´s boring). Last year I tried out the bullet journal, and while I really liked it and had use for it, I found a new hobby (penpaling) that I want to prioritize over bullet journaling. 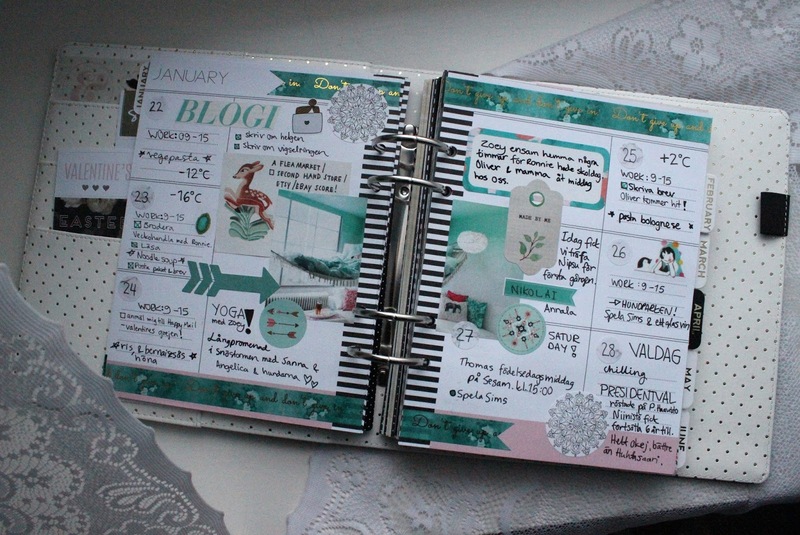 During my first year in the planner community, I found Heidi Swapp´s stickers and products and really liked her style. So when I was looking for a new planner, I knew it was gonna be a Heidi Swapp Memory planner. 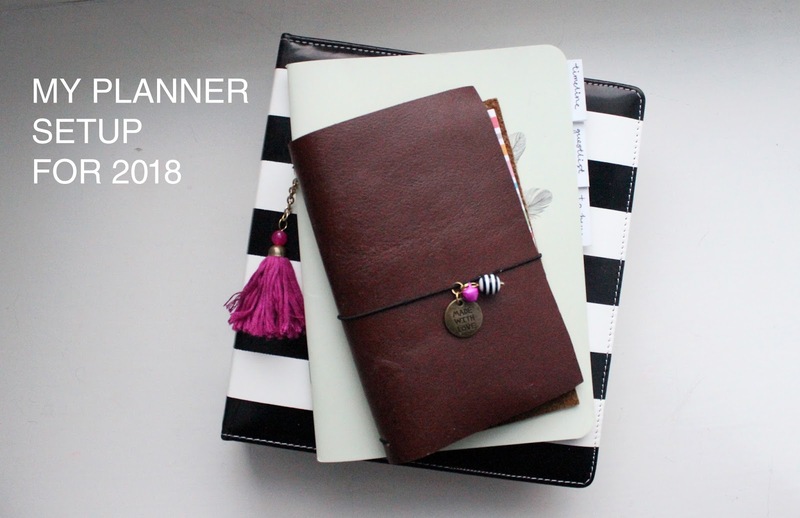 I bought mine from one of my favorite Finnish planner shops: ChicCompany (not sponsored). 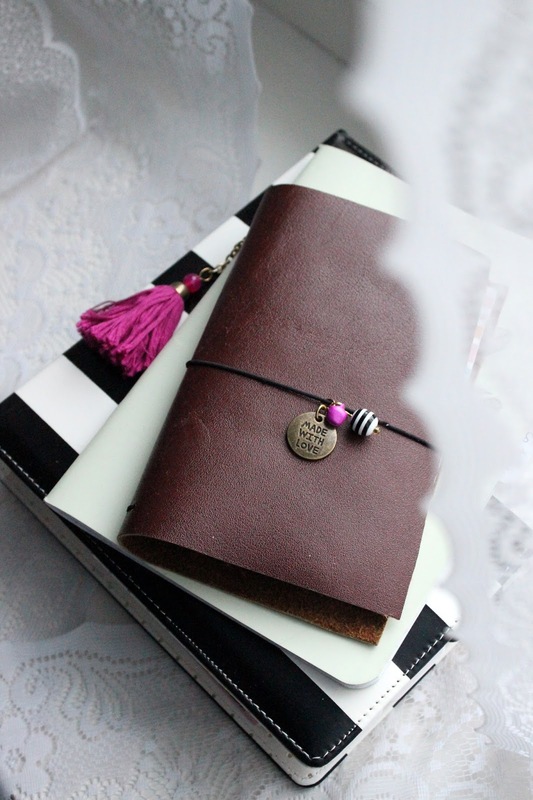 It´s striped in black and white and has a lot of beautiful floral prints and golden details. My Heidi Swapp Memory planner. Still have to find something pretty to decorate the pockets. My favorite week so far. It´s my favorite color! 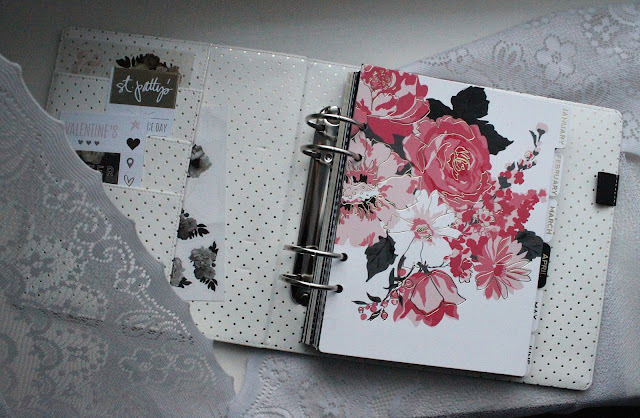 I think I´ve found my style for decorating this planner. I love stickers and washi and cute pictures and LOVE to color coordinate everything, haha. 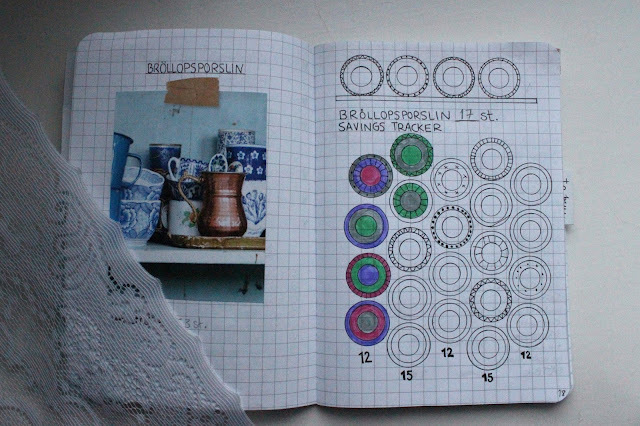 I´ve written about my bujo for wedding planning here: brollopsplanering-i-min-bujo.html so I will not write so much about it now. We are getting married on september 1st this year, so a lot is going on at the moment. I write about the wedding planning here on the blog as well, if you´re interested! This little notebook contains everything about our wedding plans, all the to-buy lists, guestlist, adresses, timeline, venue sketch, brain dump, etc. From this bujo I transfer my to do lists for every month to my planner. It´s working perfect so far! I also use an app for wedding planning but beacuse the budget calculator isn´t working properly, I don´t really use it. I really love to write my ideas on real paper so I´m sticking to that. And It´s harder to delete something by mistake, haha. 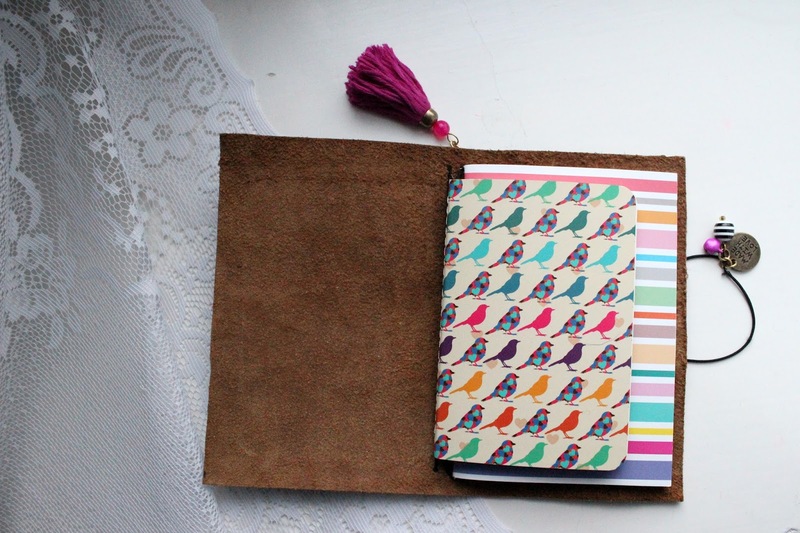 Last, but not least is this cute pocket sized Traveler´s Notebook that I´ve made myself! Inside, I have two notebooks, the bigger is for work and the smaller is for on-the-go ideas, shopping lists and whatever I want to write down during the day. I think It´s really cute with the bright, happy colors! I guess that´s it! Please leave a comment about how well you thought I did! This was my first english post since I first started blogging in 2009? !